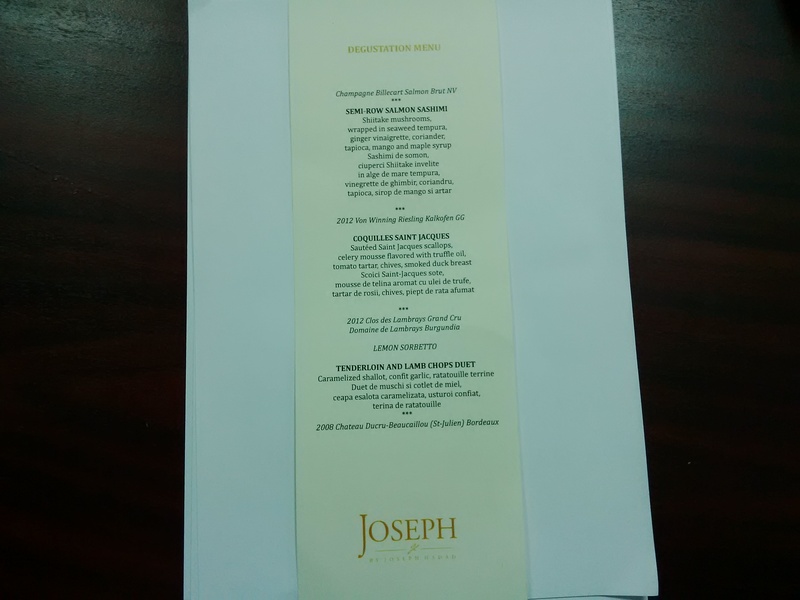 I attended a private dinner this week with a relatively small group of friends at one of Bucharest’s best restaurants owned by Joseph Hadad. 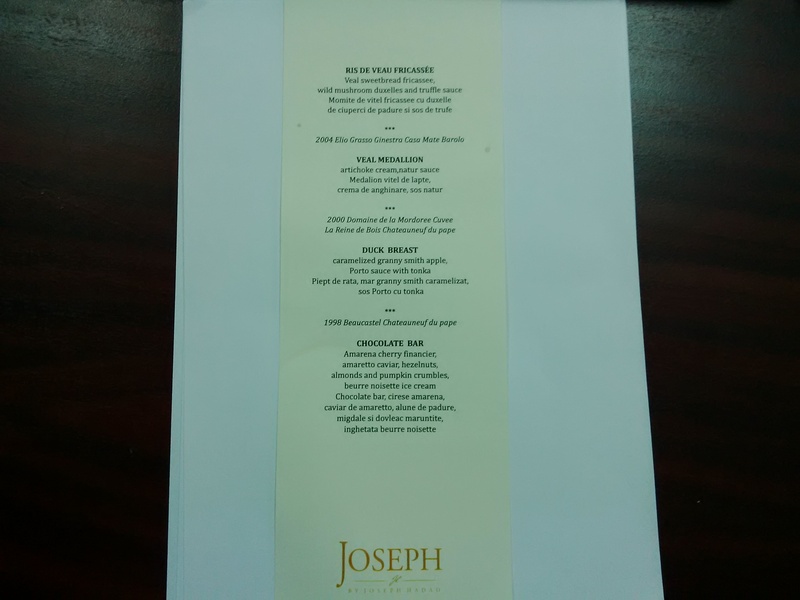 It was a an event well prepared in advance with a clear list of wines selected by me and the food pairing selected by a friend. 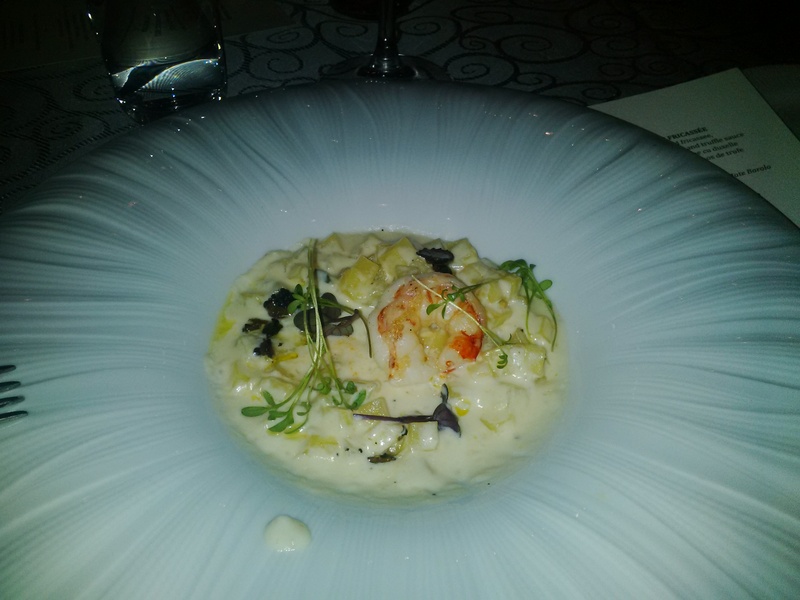 As a first time visit to this restaurant the food was excellent and the pairing happily chosen. 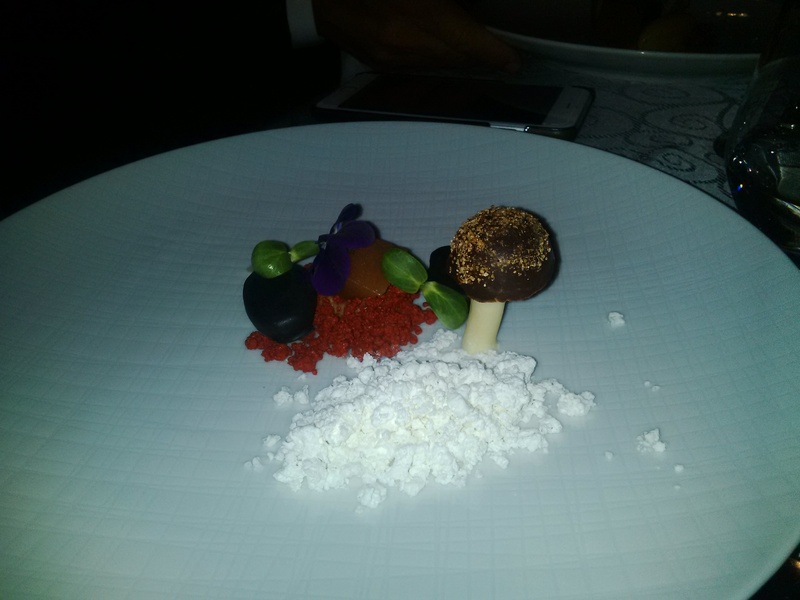 Food is really at the highest level. There were 7 wines proposed initially but we ended up with 11 eventually. 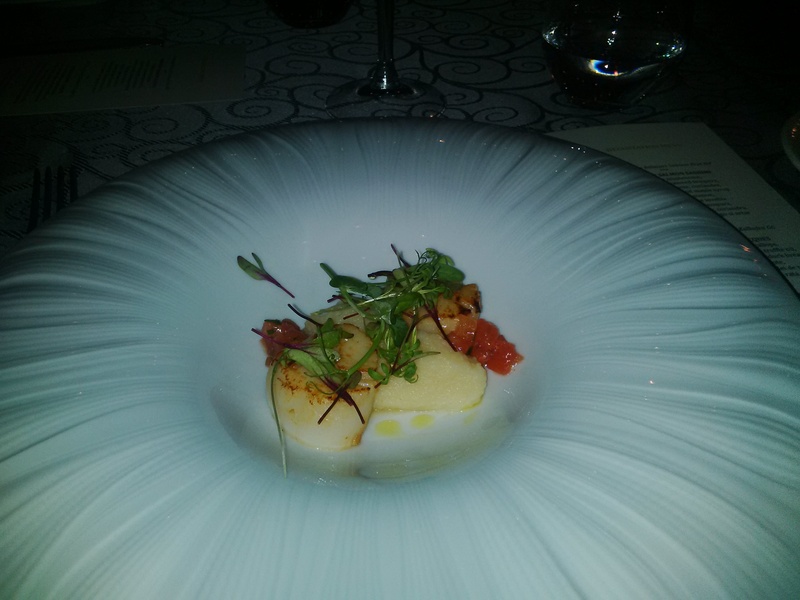 Sauted Saint Jacques scallops, celery mousse flavored with truffle oil, tomato tartar, chives, smoked duck breast were served next to a great Pinot Noir: 2012 Clos des Lambrays Grand Cru. 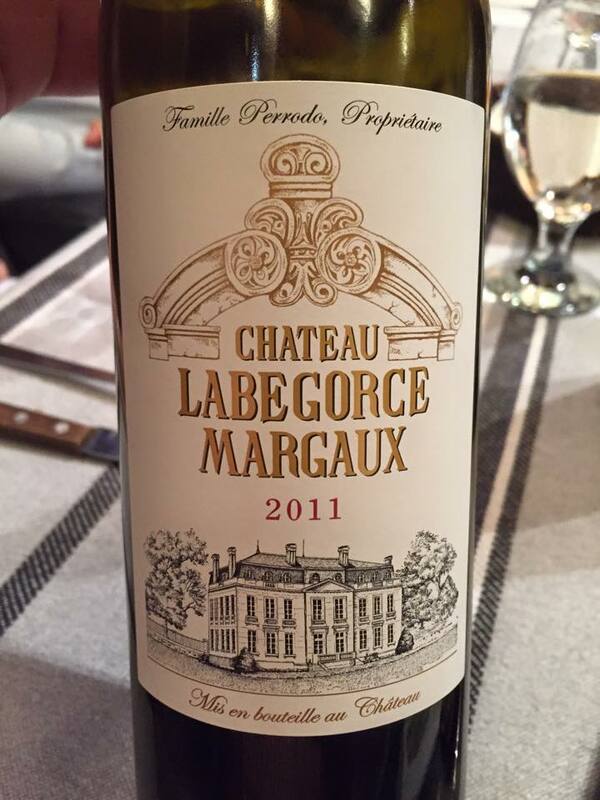 This is a 7-8 ha Grand Cru monopole owned since 2013 by the famous LVMH group so prices are expected to soar. There is a 60 m altitude difference between the start and the end of this vineyard so there are significant differences between the style of each parcel of vines, differences that actually build the complexity in this wine. 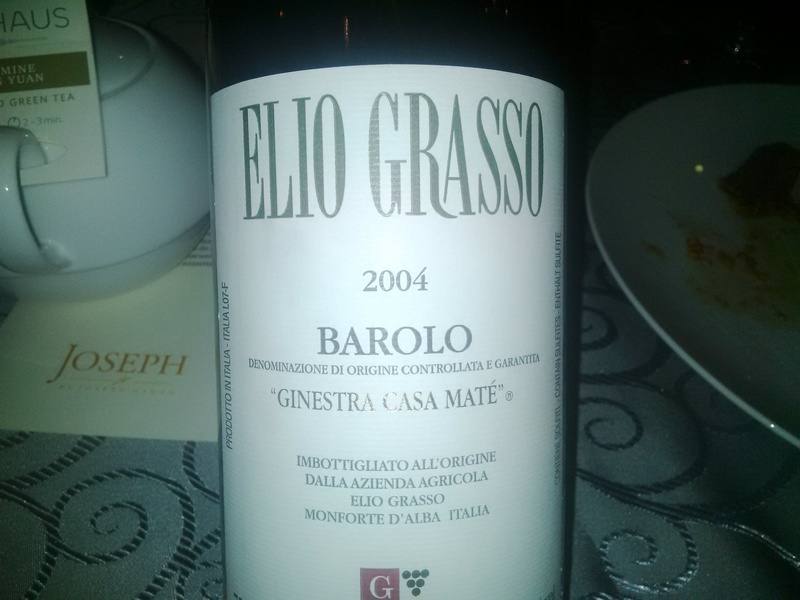 The nose is developed and intense, but there is so much elegance and class in it. 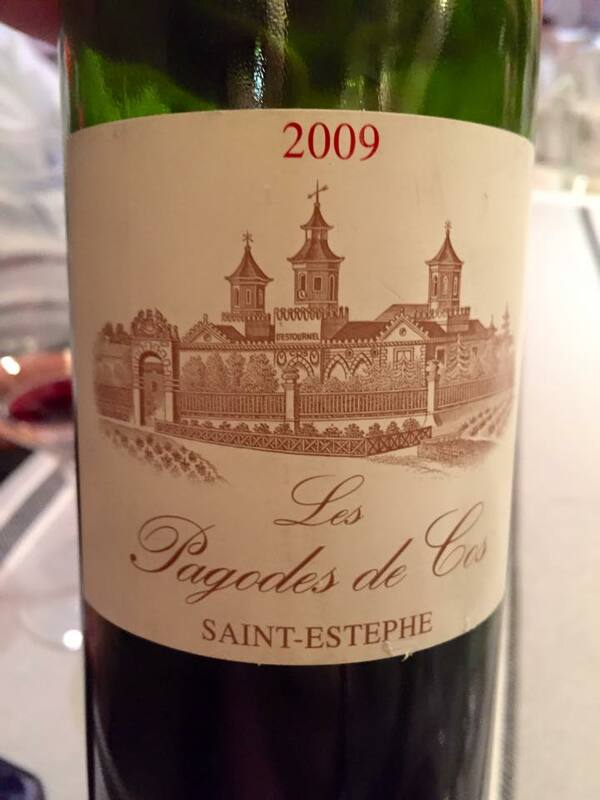 Fresh raspberry and cherry fruit, tea leaves and subdued undergrowth all make a profound nose. 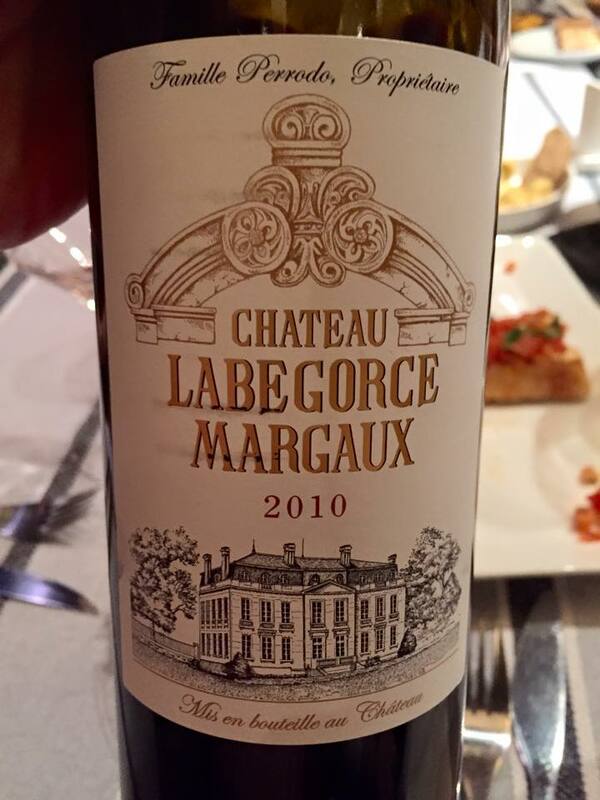 Silky smooth on the palate, with rich red fruit, coffee and savoury palate, there is depth and elegance. Very long finish that lingers. 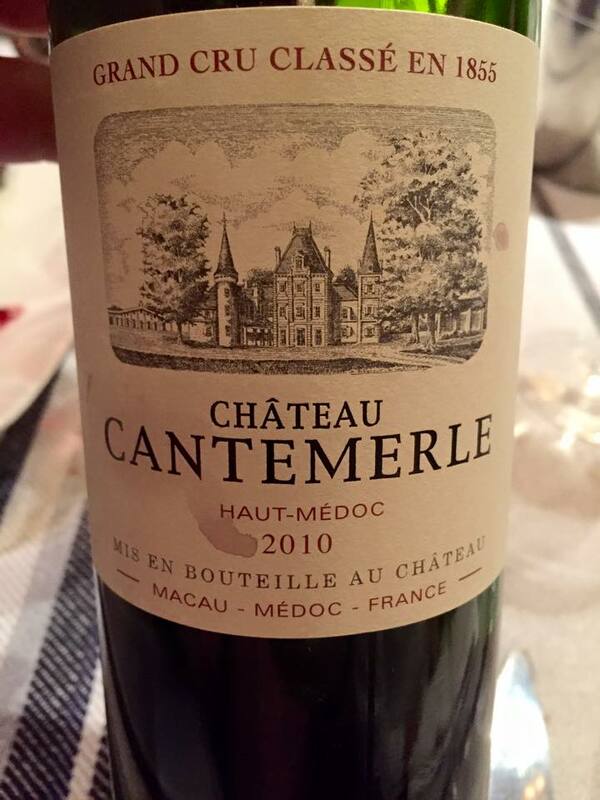 For me it was the wine of the night (95/100). 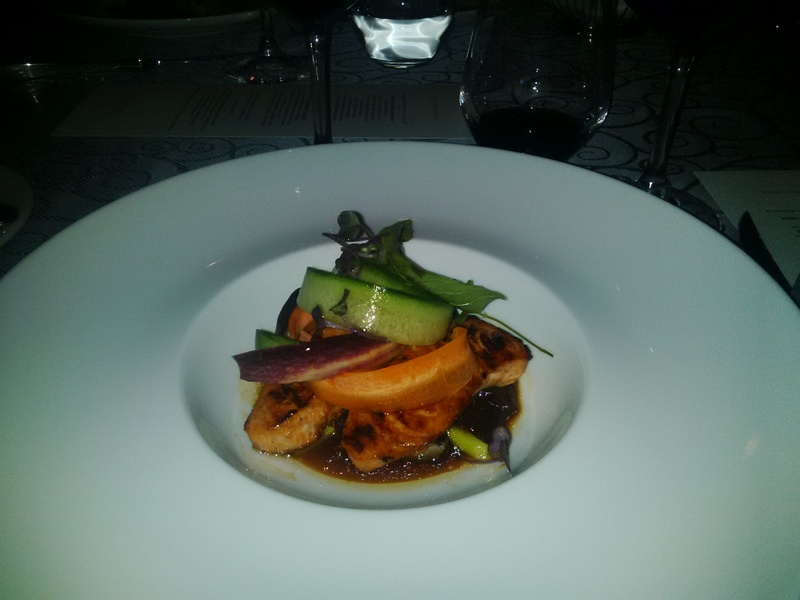 Scallops actually enhanced the fruitiness and somehow gave it even more depth and complexity. We also tasted an interesting Pinot Noir from Dao, Portugal, a pure un-oaked and unfiltered wine: Quinta de Bella – Dom Bella Pinot Noir 2012 that shows a warmer profile due to its origin, dominated by ripe cherry and sour cherry fruit. 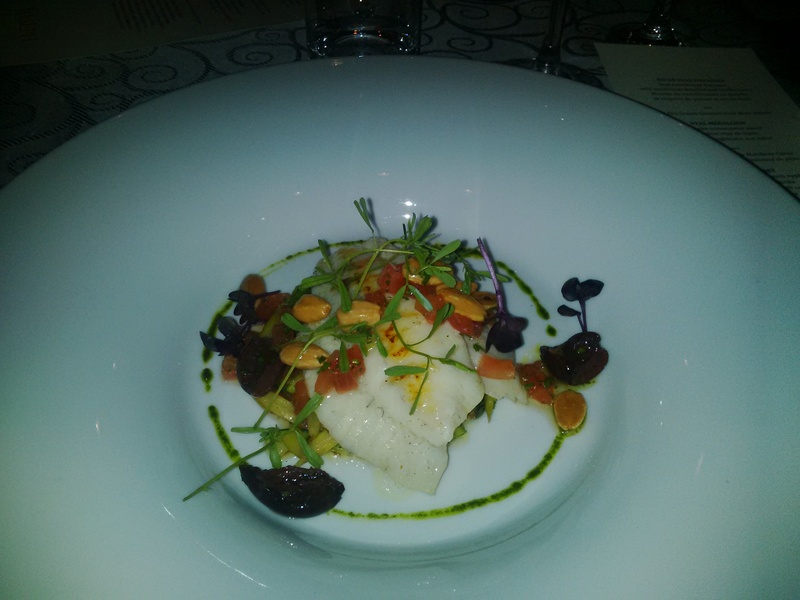 From there on my menu was slightly different than the others as I chose to replace all meat with different fish. 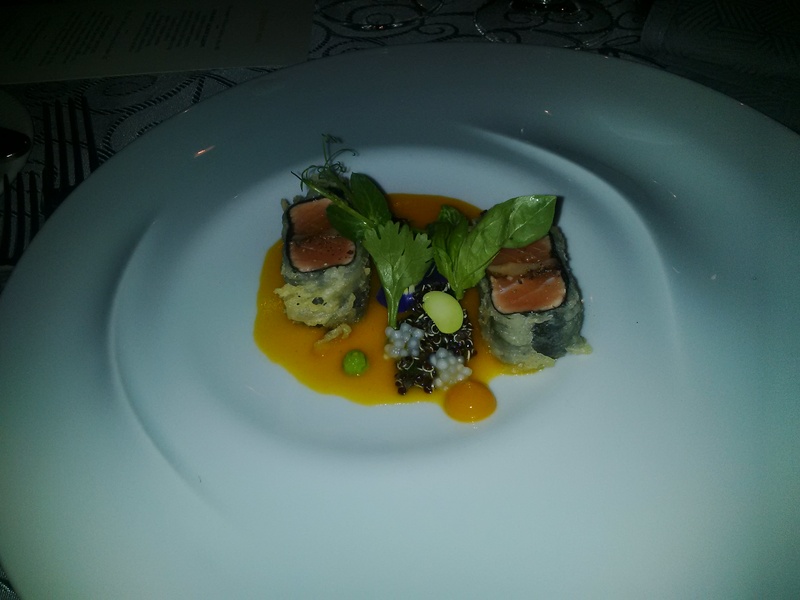 Three wines were served with the next dish. 2011 Carmen Gran Reserva Cabernet Sauvignon from Chile that stays true to its provenance and welcomes you with the unmistakable aromas of very ripe black fruit and mint into a very forward style (87- 88/100). 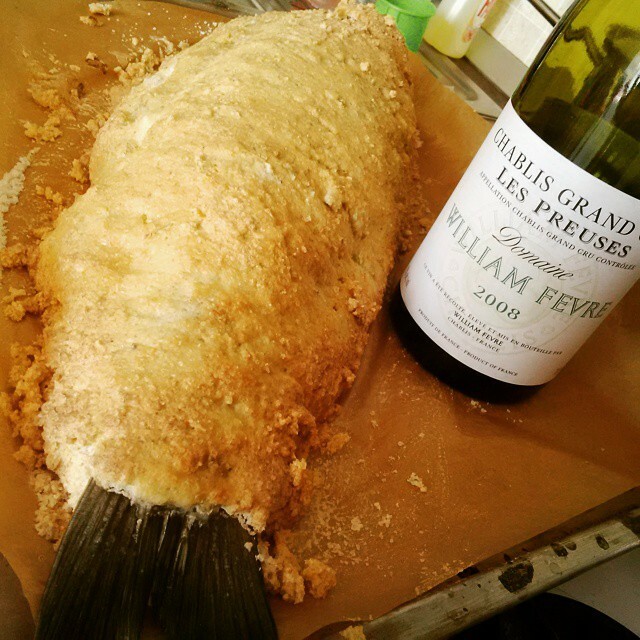 It was an abrupt fell from the heavenly Clos des Lambrays. 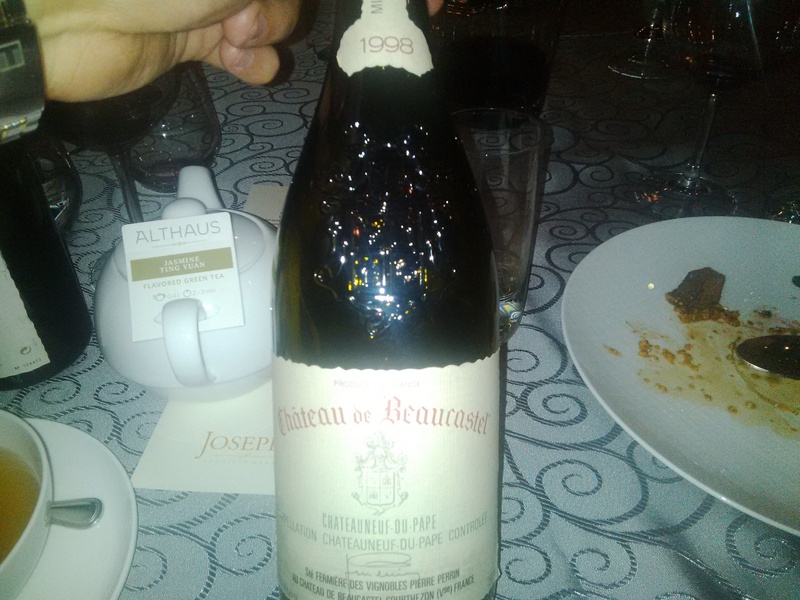 1998 Chateau de Beaucastel Chateauneuf du pape was unfortunately corked beyond any chance of revival. 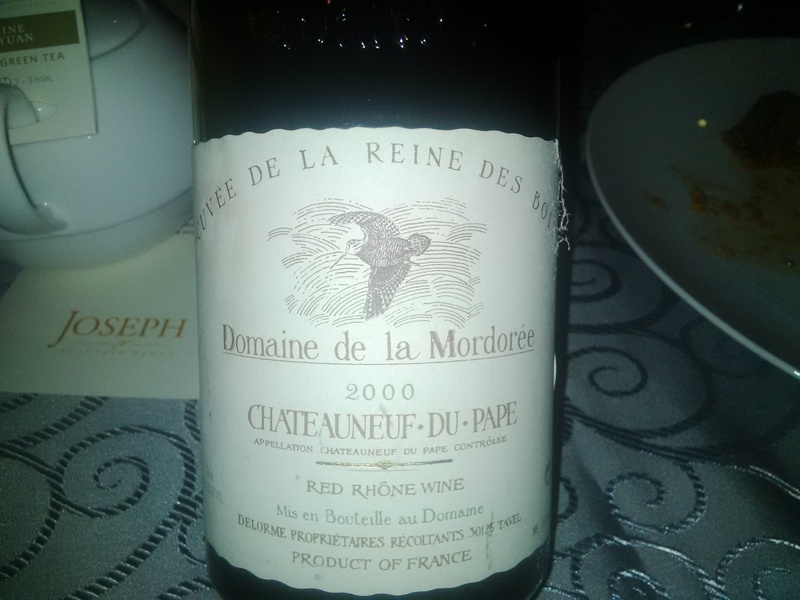 Such a pity as I had high expectations to be the wine of the night. 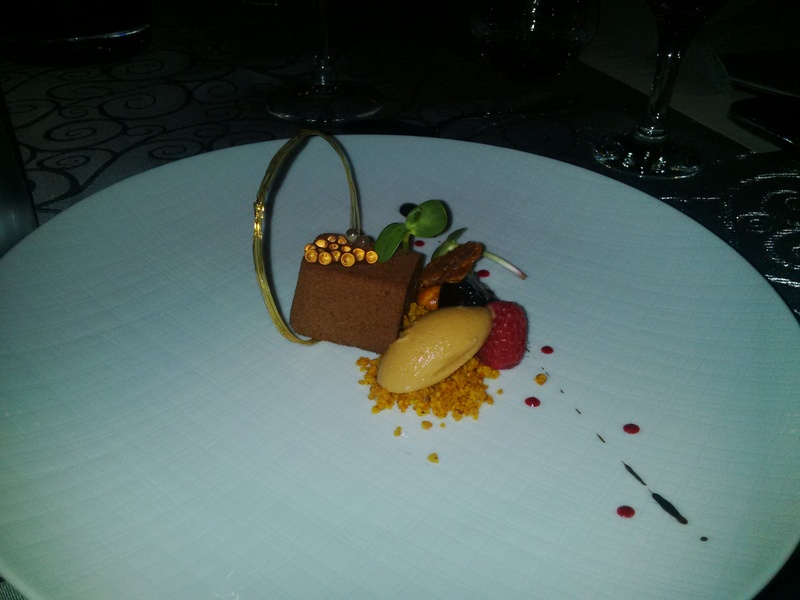 Desserts were quite spectacular and were paired with a Martha’s Porto – Tawny 20 years. We celebrated Easter last weekend in Romania and we had a gorgeous summer like weather with 27 degrees outside. 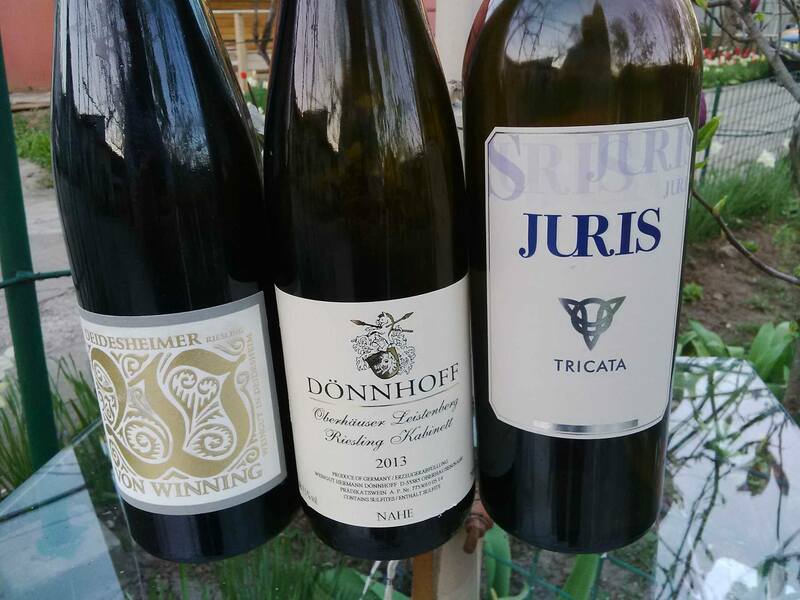 It was the first time this year that we dinned in the courtyard having great wines and just sitting in the sun and doing nothing. Obviously friends wanted to be a part of all this process so it was a full house. How can you say no when friends want to mingle with you in your moments of serenity. 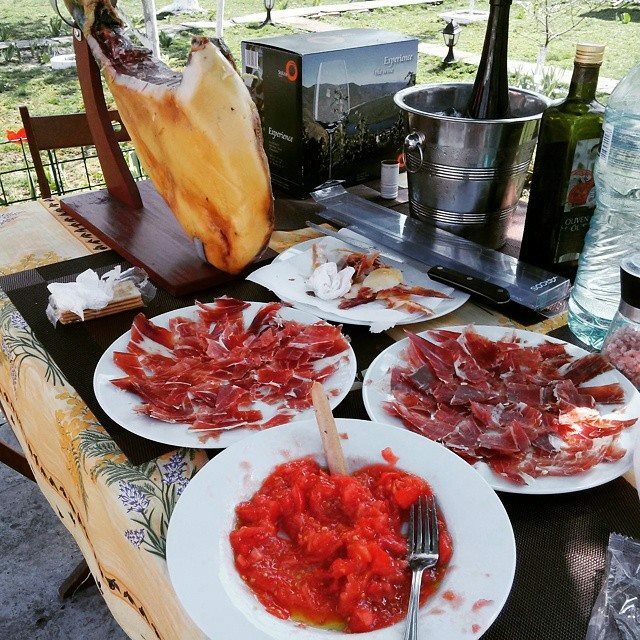 On MON after having so much lamb and colored eggs it was time for a change so back to cellar I got the leg of Jamon Iberico outside and had some freshly cut ham with raw tomatoes puree, olive oil and crackers. 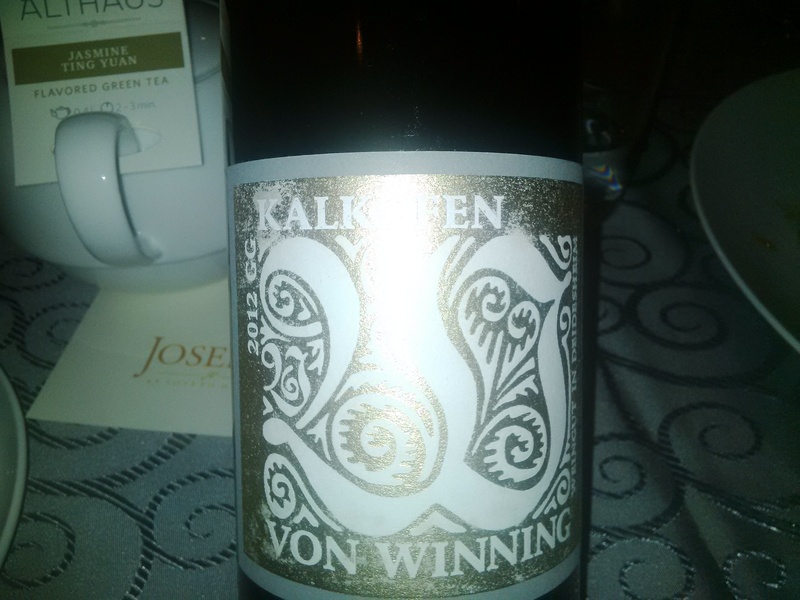 There are a few pairings that go very well with this cured meat, but for me German Riesling is a staple wine. 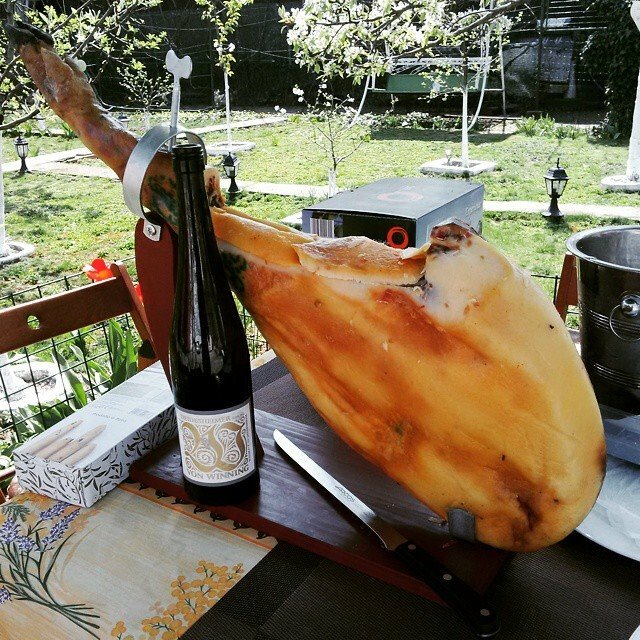 Sweetness and salty ham: you should try it for yourself ! Let me know. A really enjoyable 2nd day after the Easter. 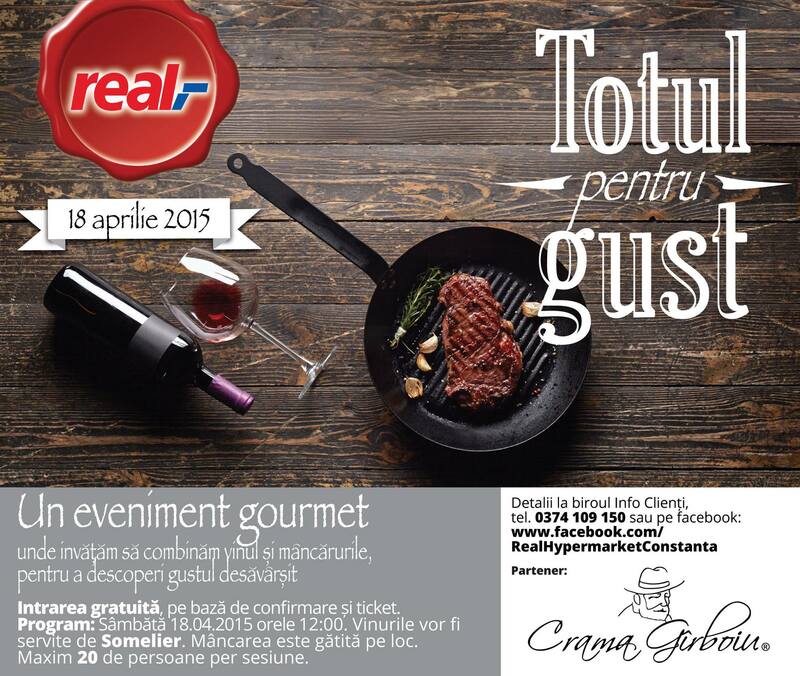 In cadrul sesiunii de Sambata 18 Aprilie din cadrul Real Constanta, incepand cu ora 12:00, participantii vor putea degusta 6 vinuri din gama premium de la Crama Girboiu care vor fi servite alaturi de preparate culinare special gandite si gatite de bucatari specialisti, cu produse din cadrul magazinului Real Constanta. 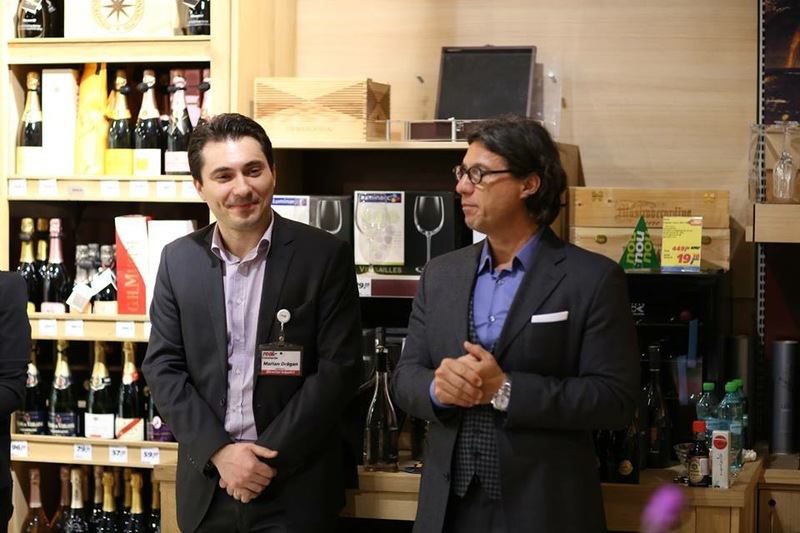 Al doilea eveniment denumit ‘Wine Club‘ este adresat doar membrilor clubului de vin initiat de Real si se adreseaza in mod deosebit celor din Horeca si cunoscatorilor. 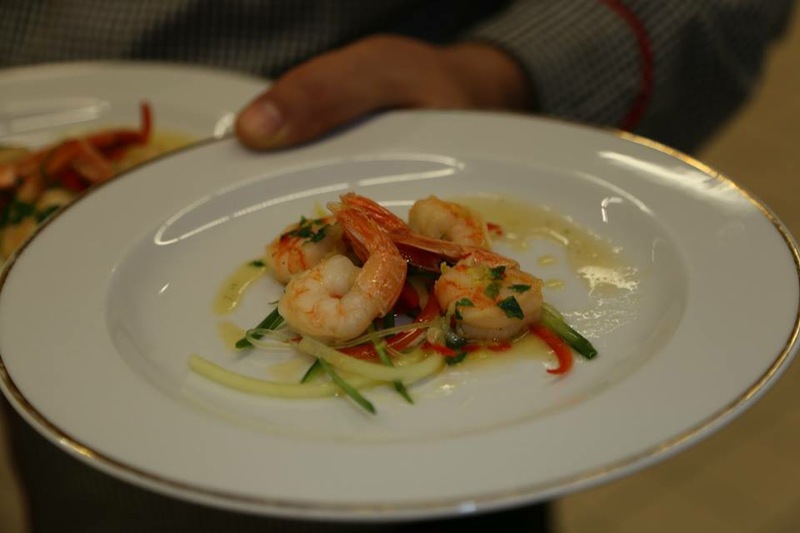 Evenimentul ‘Wine Club’ se va desfasura vineri in incinta Real Constanta incepand de la ora 18:00, participantii fiind invitati nominal. 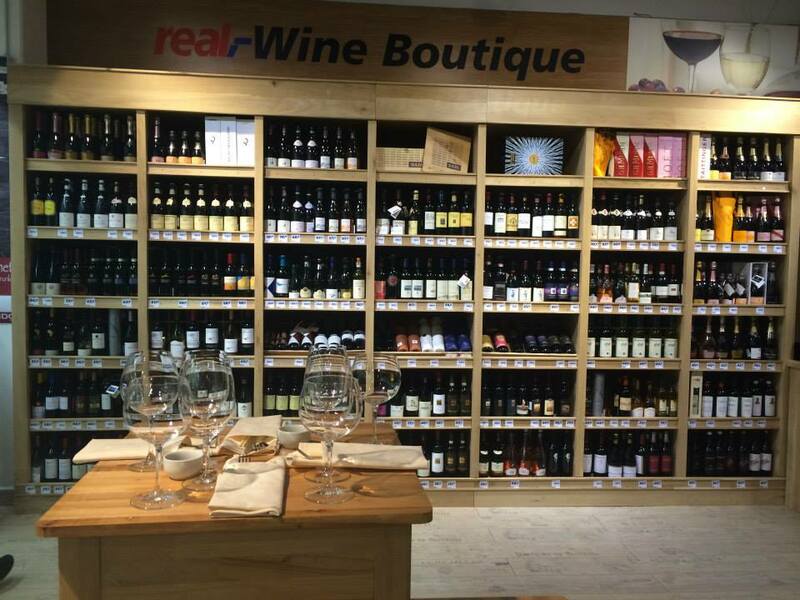 Pentru cei aflati in Constanta in acest weekend este o oportunitate buna de a descoperi gama vasta de vinuri de calitate din cadrul Real,-Wine Boutique si de a petrece cateva ore in compania altor oameni ce impartasesc aceeasi pasiune pentru vin si mancare buna. Inscrierile se fac de obicei din timp, locurile disponibile fiind ocupate rapid. 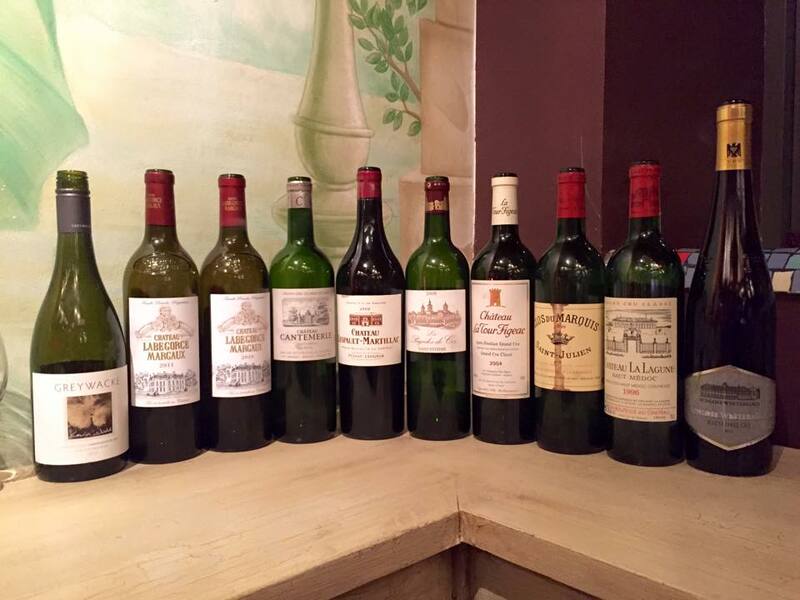 We had a good time on April 2nd for our Classic Bordeaux tasting. 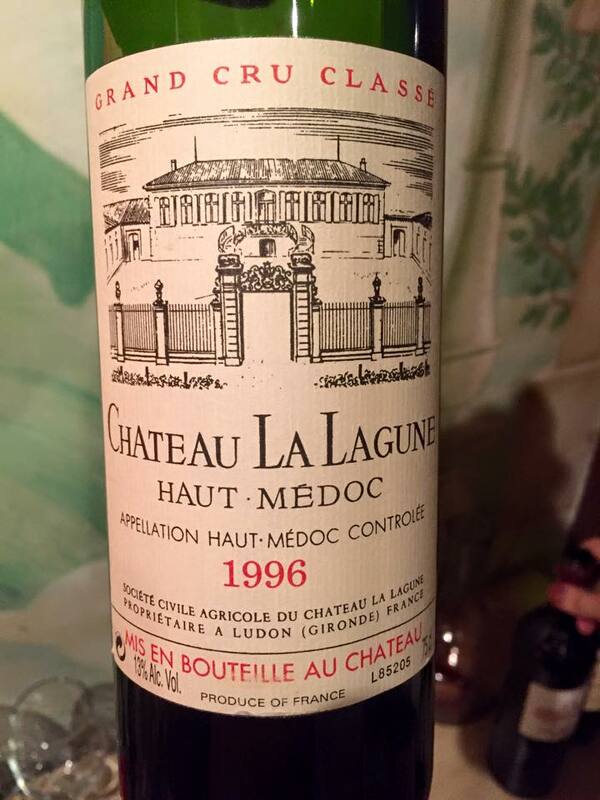 Looking back it seems that our tastings become cyclical. 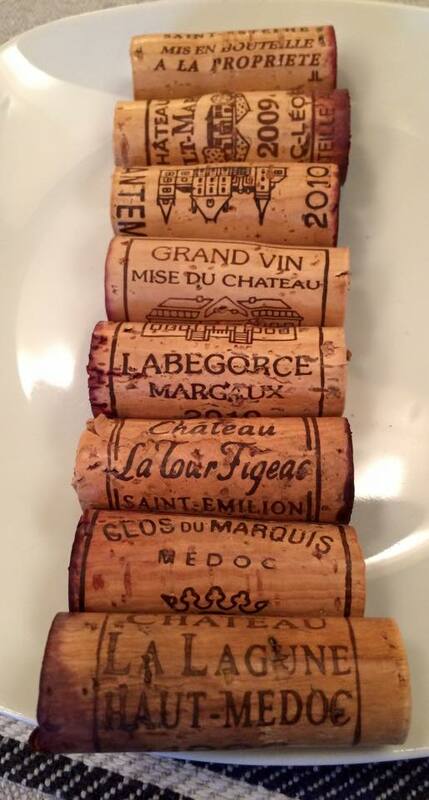 In 2013 Bordeaux tasting took place at the end of March. We had a great group of participants including Oliver Bauer, the winemaker for Prince Stirbey and Crama Bauer. So there has been some interesting debate about the wines. All wines were decanted, left to breathe for 10 minutes and then placed back into the bottle where they continued to be in contact with air. 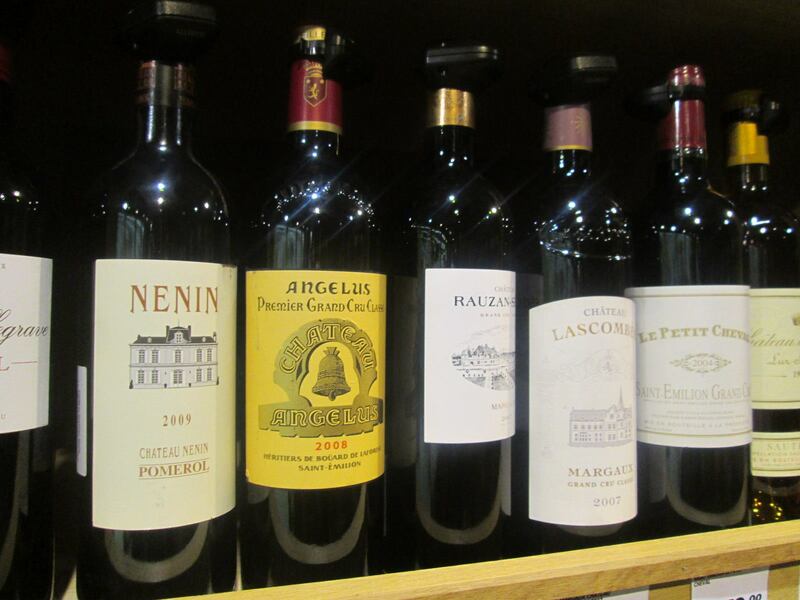 Some of the wines needed an extended decanting and were put back into the decanter just before being served. 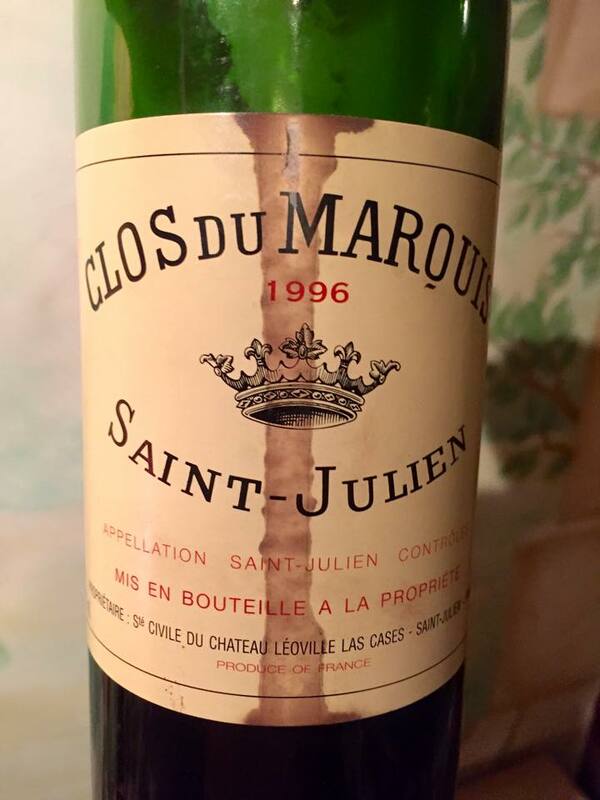 Overall it was a great tasting: all wines were very good and we had no bad experiences with any of the bottles – not that we had any recently, the guests engaged in the conversation and there has been a certain debate on the differences between the wines. 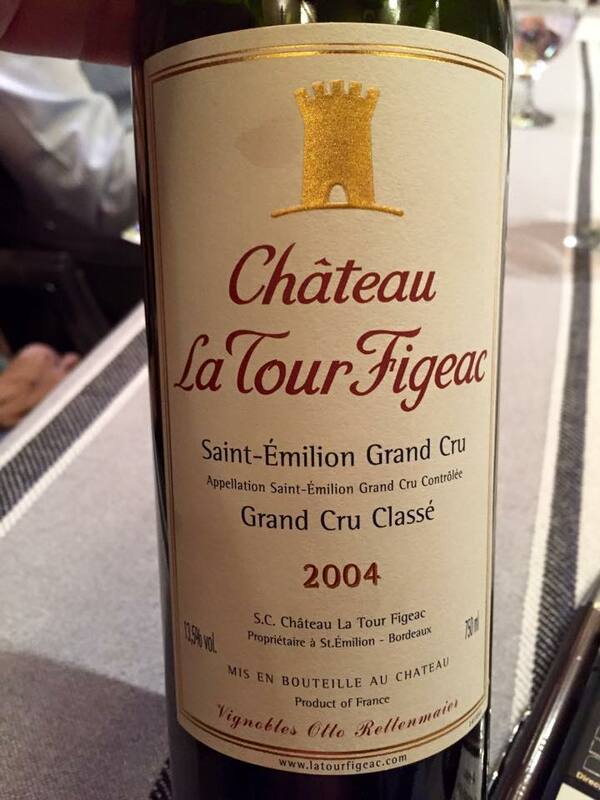 Just to point out: 2004 Chateau La Tour Figeac really made an overall impression. Had dinner a week ago with a good friend that fancies Pinot Noir a lot and it seems we are together in a quest to discover and enjoy as many as possible. 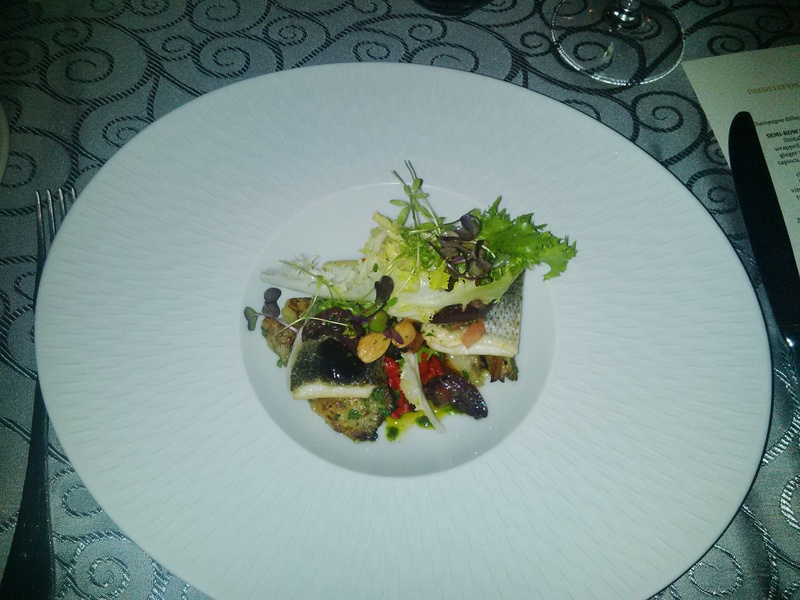 We had dinner at Le Bistrot Francais near Ateneu in Bucharest, the food was really good. 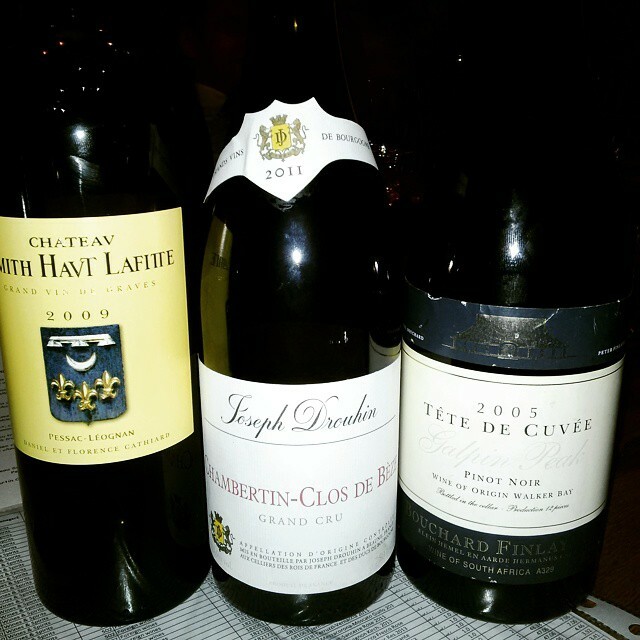 Three wines were served during the meal. For instant gratification Bouchard-Finlayson was definitely the winner and will continue to be there for the next 5-8 years easily. I would love to see Chambertin Clos de Beze in 10 years. In ultima calatorie la Constanta de acum cateva saptamani am ajuns intamplator la unul dintre hyper marketurile Real si am fost foarte placut surprins sa gasesc un loc special amenajat dedicat vinului pe o suprafata considerabila din magazin. 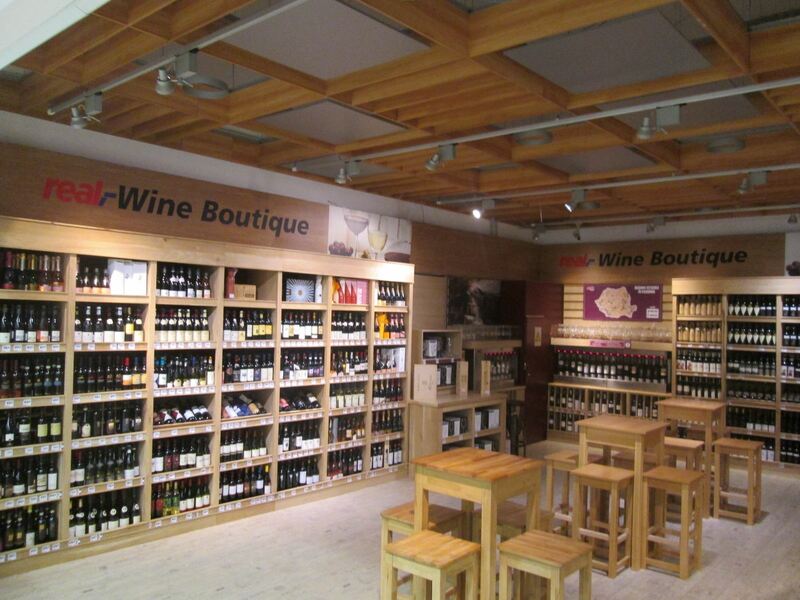 Este o premiera si o noutate – da stiu exista de ceva timp humidorul de la Baneasa – sa gasesc atat de multe vinuri mari intr-o locatie a unui hyper market. Locul arata foarte bine, de parca intri intr-o crama privata, cu mult lemn care da senzatia de primitor si natural. Enomatul cu vinuri are o oferta larga in functie de bugetul fiecaruia. Sortimentatia este impresionanta: majoritatea tarilor sunt bine reprezentate. 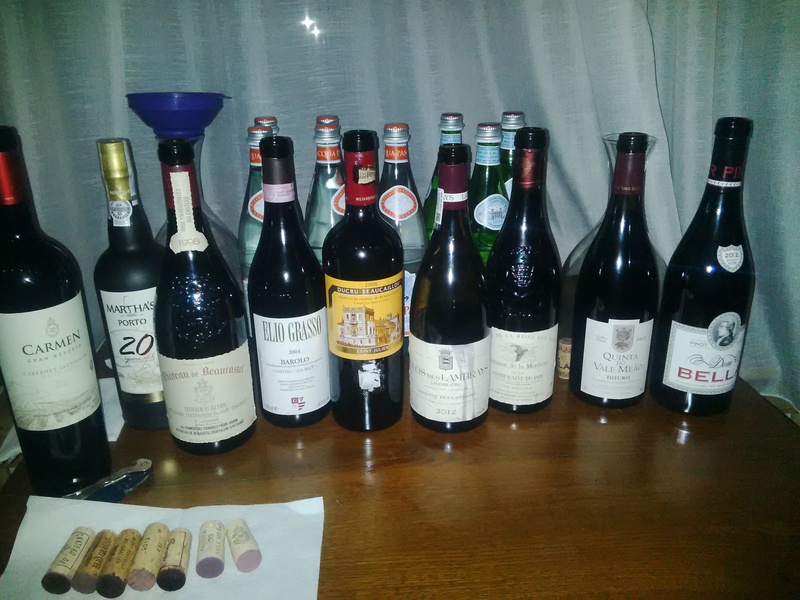 Din Italia am gasit vinurile de la Gaja, am gasit Ornellaia si Sassicaia (vinurile mari si restul gamei lor), Luce, Biondi Santi, Quintarelli. 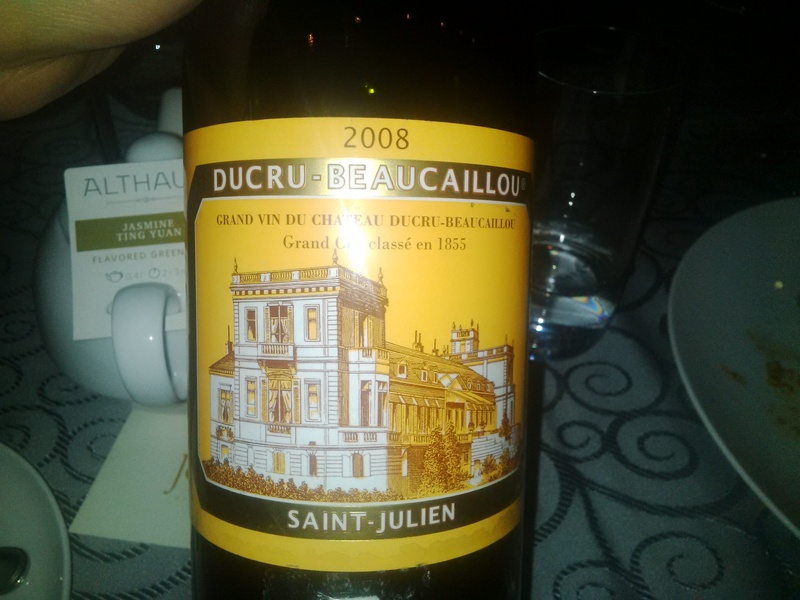 Din Franta sunt multe vinuri de la producatori consacrati din Bordeaux si Burgundia, Champagne sau Valea Ronului. 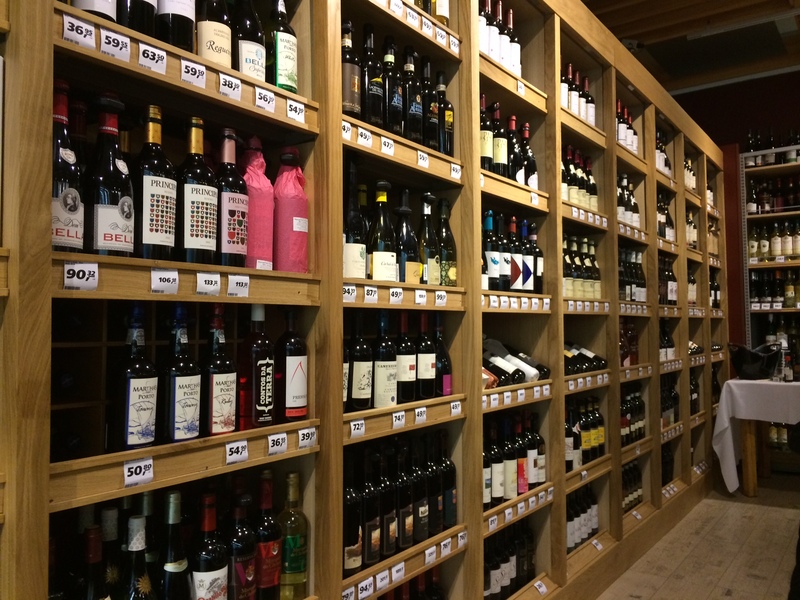 Lumea Noua are prezente nu doar gamele entry level (listate intr-un loc separat de acest spatiu) pe care le gasesti in majoritatea hyper market-urilor, dar am gasit vinuri prezente in cele mai bune magazine specializate de vin din lume. Ceea ce nu exista bine reprezentat in acest moment este sectorul de vinuri romanesti, si acest lucru se datoreaza cramelor de la noi care nu reusesc sa faca diferenta intre acest spatiu dedicat vinului de calitate si restul magazinelor din marile retele care vand doar ce este ieftin si ‘bun’. Este o greseala sa generalizezi fara a investiga in detaliu aceste diferente majore. Nici la Baneasa in humidor nu am gasit o astfel de sortimentatie vasta. De admirat initiativa mai ales ca astfel in cele cateva orase in care Real are magazine: Constanta, Suceava, Arad si Oradea, consumatorul a inceput sa aiba acces la o gama larga de vinuri excelente. Exista chiar si o serie de evenimente organizate in acest spatiu, dar voi reveni cu mai multe detalii. I had several times many bottles of Chablis and Chablis Premier Cru, but not as often as I would like did I encounter the Grand Cru Chablis. 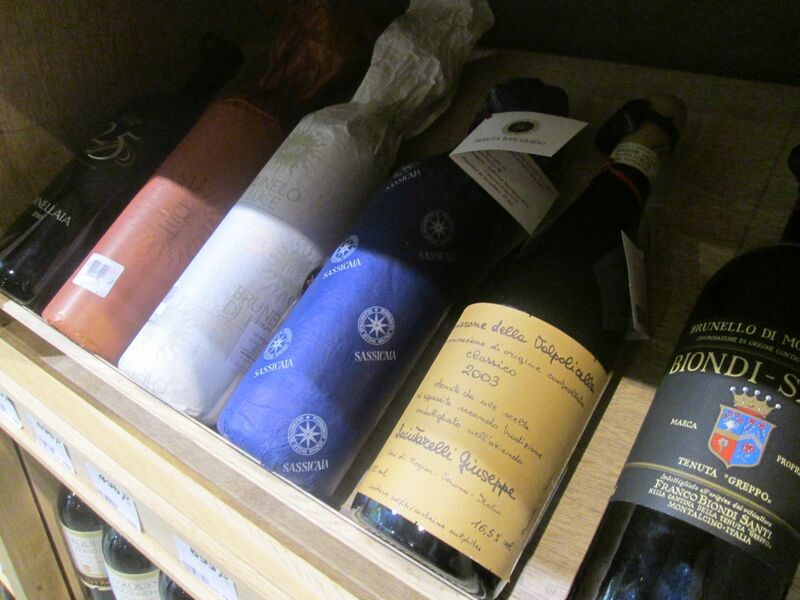 It is recommended to drink it 5-6 years after the vintage in order for the aromas and flavor profile to fully develop. 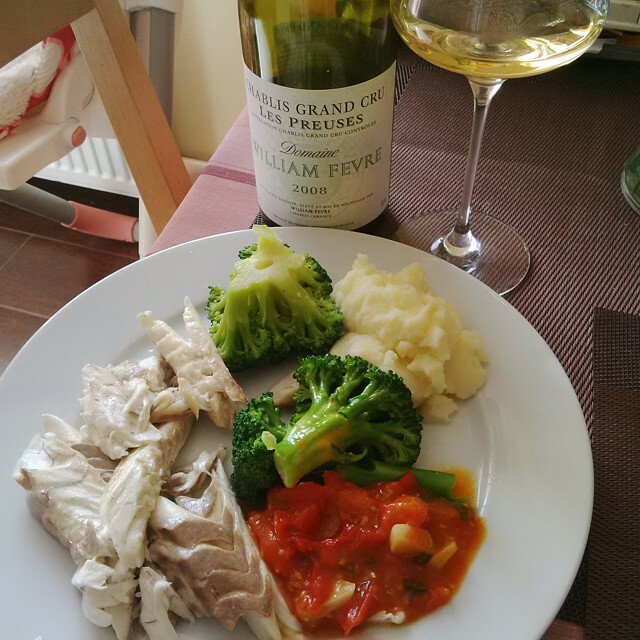 Paired with sea bass cooked in a salt crust, steamed broccoli, mashed potatoes and cherry tomatoes reduction just 1 week before the Easter it was a truly amazing culinary experience. It’s always better to choose a bigger fish if possible (mine was 1.2 kg) when cooking in a salt crust as the taste and the flesh is considerably better than the small fish.